In order to fall in love, a person must move fromindependence – needing only one's self to exist – tointerdependence – being concerned about self but needing someone else to exist as well. Some people can even go beyond interdependence and move toward the unhealthy side of relationships: dependence – needing others to exist and not being able to function without them. Attraction. Something registers in the five senses – hair, eye color, skin tone, body shape, etc. – when you first meet someone and are drawn to that person. This is the sensual part of falling in love. Acceptance. Attraction becomes mutual and moves past a casual friendship to a deeper level of intimacy. Through conversations, shared activities and social interaction, each learns more about the other, the "masks" are dropped, and you begin to "feel" love toward each other. Fulfillment. Acceptance of each other is complete, with warm feelings toward each other and desires to do everything they can to make each other feel happy. 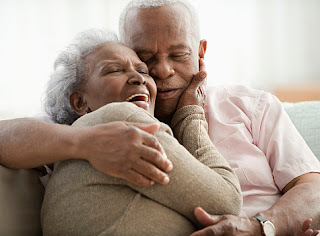 During interactions, they make a conscious effort to meet one another's needs, which is usually one of the first things married couples stop doing after marriage. Courting couples spend an average of 15 hours a week together. Moving through these three stages, the couple thus transitions from independence to interdependence. An interdependent relationship isn't static; it continues to be dynamic. On any given day, the relationship may move slightly toward independence or dependence. That is normal. But some relationships move toward dependence, which is not good. Continued movement toward dependence causes a relationship to become unhealthy and ridden with psychosis. Isolation. One or both partners in a relationship begin to isolate themselves from other people and focus only on each other. Healthy periods of isolation can take place in any relationship, but isolation becomes unhealthy when it becomes a habit or lifestyle. Sole Source of Fulfillment. Continued isolation from others leads to depending on the person you love as the sole source of need fulfillment. This extreme is unhealthy and impossible to continue for extended periods of time. Obsession. Isolation and seeking fulfillment from only one person cycles a person back to the immaturity of a small child, with fears that, if the loved person ceases to exist, he or she will also cease to exist. Many murders take place each year because of obsession. When a person moves backward through the three stages (from interdependence to attraction), the feelings of love diminish. Not only will passion disappear, but commitment will eventually disappear as well. The trip backwards begins when one or both partner stops meeting the other's needs and when negative behaviors, like selfish demands, disrespectful judgments and angry outbursts, become a daily practice. Resignation. The relationship fulfills no one but continues because of some external glue like children, religious beliefs, or difficulty of getting a divorce, etc. Infidelity. One of the partners discovers someone else who will fulfill his or her needs. Divorce. Frustration with the other partner leads to anger, resentment and withdrawal. The spouse decides he or she would be better out of the relationship than in it, despite any negative consequences that may occur because of the divorce. Change. Bring the attraction back into the relationship by changing the way you dress, look or act. Accept. Start accepting and trusting each other again by spending quality time together: date again; learn to communicate properly; learn to drop your masks. Fulfill. Start fulfilling each others needs by putting your partner's needs above your own. Seek to please your partner first, which will ironically lead to having your own needs being met.